IT CAME FROM OUTER SPACE 1953 LOBBY CARD #3 3-D SCIENCE FICTION HORROR CLASSIC IT CAME FROM OUTER SPACE(Universal International, 1953)Size: Original U.S. 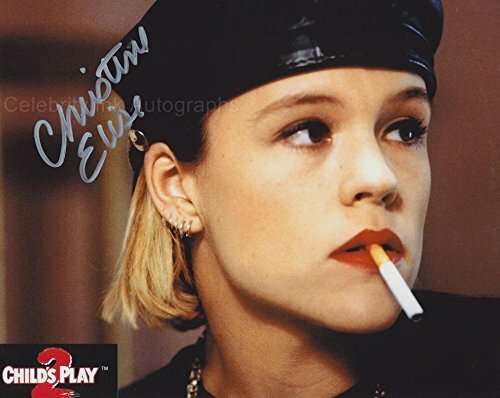 Lobby Card (11″ x 14″).Condition: Overall displays in Very Good Condition. Original 1953 Lobby Card #3 for the classic 3-Dimension sci-fi horror tale, IT CAME FROM OUTER SPACE, displays touch ups to a crease which ran across the top just below the blank border and not only doesn’t affect the art field, but the restoration was so expertly accomplished using the gelatin process during which all borders were cleaned and touched up any issues are virtually unnoticeable and this Lobby Card display wonderfully with rich, ‘like-new’ color and terrific, super 3-D artwork from this 1950’s horror/sci-fi classic! 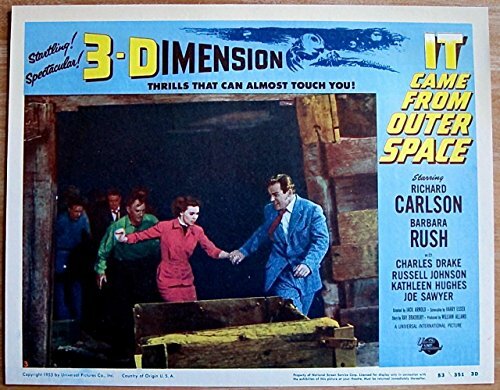 Please refer to the attached image and enlarge for a detailed view of this original 1953 Lobby Card #3 for the classic 3-Dimension sci-fi horror tale, IT CAME FROM OUTER SPACE.